Buying a Home in 2019? These 4 Tips Will Help! A lot is happening this month in The Meadows. The community is hopping with energy, the sound of construction is ringing, and “For Sale” signs are popping up around every corner. It is the start of the spring home buying season, and if you’re looking to buy a home, here are 4 home buying tips you should keep in mind when purchasing a home this year. Home Buying Tip #1: Start Looking Now! If you haven’t already, start your new home search now. Think about how many people are planning to buy a home this spring? There are a lot of you, so think about the adage, “the early bird gets the worm.” You’ll have more choices if you start early — especially in this market. Create a list of wants and needs so that you have a clear idea of what you’re looking for when you begin your search. We all dream about the home we want, but can you afford it? The last thing you want is to find your dream home and then find out you can’t get approved. Getting pre-approved for your financing gives you an idea of what you can afford and will help narrow your search a bit. 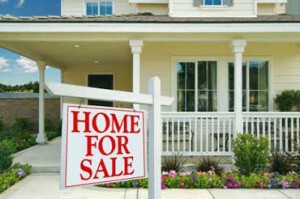 It will also show sellers and their agents or home builders that you’re a serious home buyer. It’s an active market with many home buyers just like you. Do your research on the market. Understanding your market can help you know what homes are selling for; this will give you a competitive advantage when it comes to making an offer. Hiring a good Realtor, who knows the market well, will help you throughout the entire home buying process. If you’re new to The Meadows and/or Castle Rock, they can help you choose a neighborhood, tell you about the Castle Rock schools in Douglas County and detail the various amenities. He or she has the intel that can help you buy the house that will best fit your lifestyle. They are also a huge asset when it comes to putting a competitive offer down and negotiating a fair price on the house you want. Don’t be afraid to interview several agents in the area until you find the one you’re comfortable working with. They’re going to be your partner throughout the entire process. Use these home buying tips to help you find your new home this spring. If you’re interested in moving to The Meadows, discover more about our Castle Rock builders, search for new homes and learn more about The Meadows neighborhood.